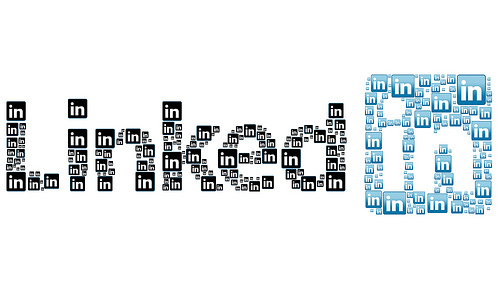 LinkedIn is arguably the most important business focused social media in the world. Due to that fact, it’s very important for job seekers to learn how to use LinkedIn carefully. Like most social media, there are rules of etiquette that you must follow to use it correctly. One of the first things you want to do after you complete your profile is to start making connections on LinkedIn. First, connect with only people that you know personally and that who know you. It’s important that you understand why you’re connecting with a particular person on LinkedIn. What is the common ground you share? Just because you know them doesn’t mean they’ll make a good connection on LinkedIn. Another use for LinkedIn is the ability to ask for personal recommendations. These recommendations are taken very seriously because the recommendations are not anonymous. On LinkedIn you can get endorsements as well as personal written recommendations. Before asking anyone for either an endorsement or a recommendation, ensure that you’ve actually worked with the person in some capacity before asking. On LinkedIn, the quality of your recommendations and endorsements is more important than the quantity. When you want to connect with someone that you don’t know yet, the way to do this is through third party introductions. If one of your connections shares a 1st degree connection with the person you want to meet, you can ask them to please introduce you. Once you ask your connection to introduce you, the ball is in their court as to whether to say yes or not. If they say yes, they will contact the party you want to connect to and ask them, then the ball is in their court. Don’t harass your connection or feel let down if they don’t want to do it. The important thing is that you asked. Whether you are asking for a recommendation, an endorsement, or for a 1st degree connection to introduce you to someone, it’s important that you always send personalized and customized messages. LinkedIn gives you their boiler plate messages but it’s best to create your own. Remind the person of how they know you, what you’ve worked on together, and the results of that work. This will help them in making a recommendation or referral and is a lot more polite than using a generic boilerplate message. A great way to increase your connections is to join groups. Be sure to research the groups before you join, ensuring that your target audience is part of the group and that the group’s topic is something that interests you. Don’t join random groups and expect anything to come of it. Be very organized and strategic when picking groups to join. It’s also important to participate in each group you join, so don’t go overboard. Finally, it’s important to avoid too much automation with your LinkedIn account. While plugins abound to allow you to share other social media account interactions with LinkedIn, it’s not really recommended. LinkedIn is a more buttoned up version of social media and it’s probably better not to mix them.